It's Easter in a week, so it's time to be completely in "Easter mode". Let all the festivities begin! 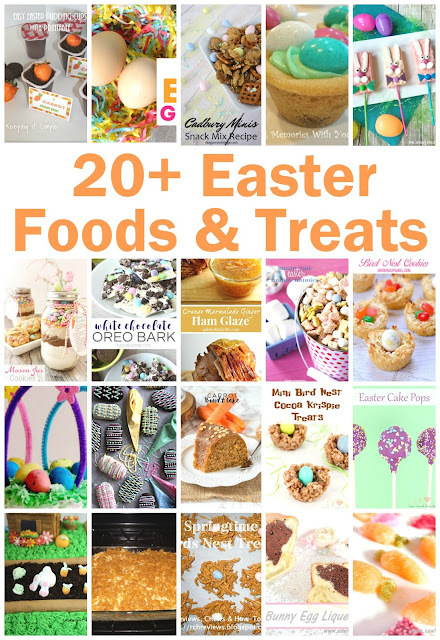 There is still plenty of time to do some fun, festive and creative things for Easter and here are some great ideas for you to do this week! We’d love it if you pinned the Easter Foods and Treats image above! Thanks so much for including my Spring Birds Nest Treats in your round up! I can't wait to visit the other posts as well. Have a lovely week!